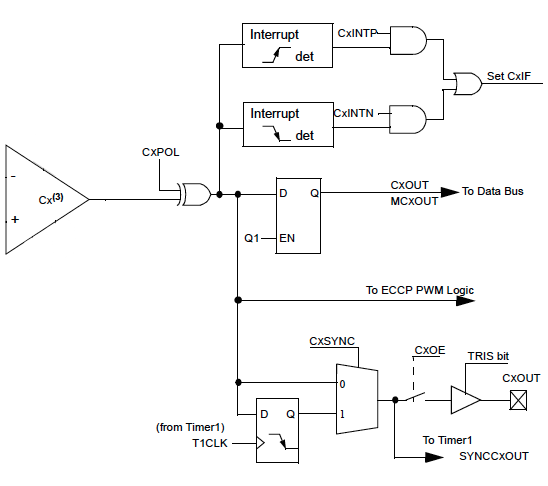 A single comparator is shown in Figure above along with the relationship between the analog input levels and the digital output. 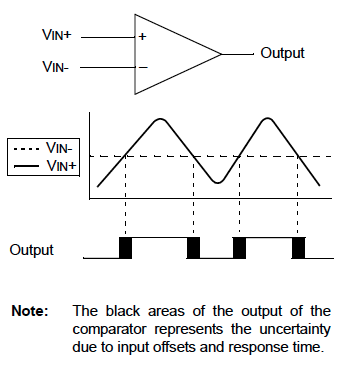 When the analog voltage at VIN+ is less than the analog voltage at VIN-, the output of the comparator is a digital low level. When the analog voltage at VIN+ is greater than the analog voltage at VIN-, the output of the comparator is a digital high level. 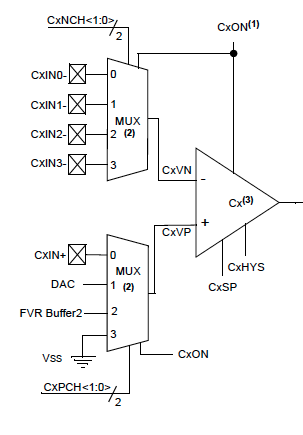 The comparator has multiple input sources and various output options. This can vary with device selection.